Next weekend will be a big napa harvest and my sister will be helping me make my annual batch of wontons and kim chee. Mmm. 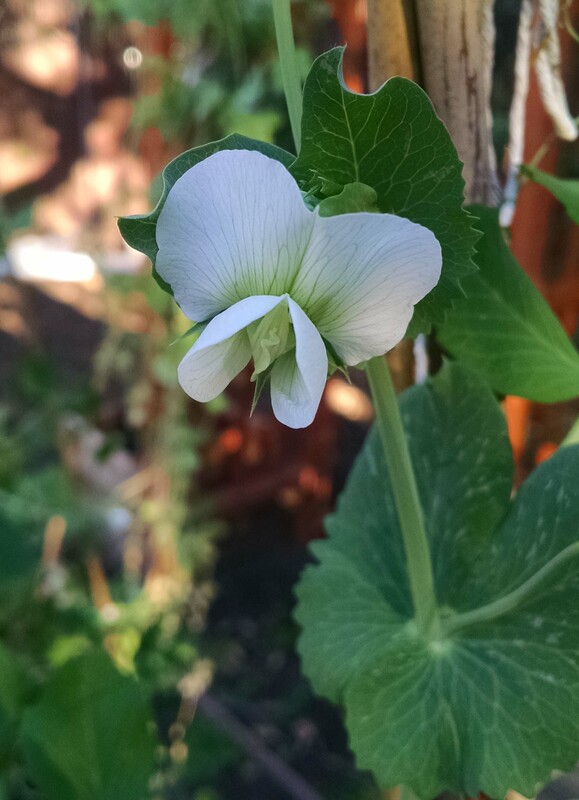 The first planting of peas are now taller than I am and are covered in sweet pea flowers and pods. My husband has already snacked on a few of them and continues to remind me that peas are not for sharing. I have to remind him who grew the peas in the first place. 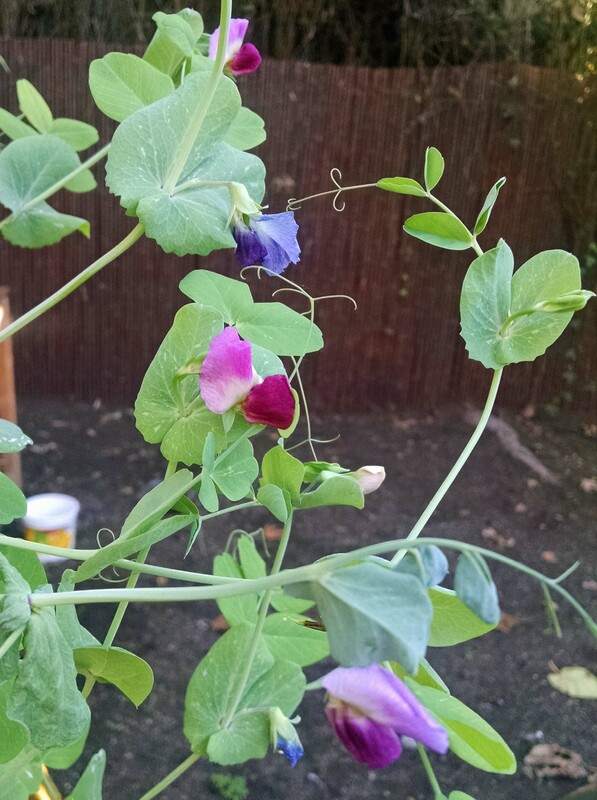 🙂 My second big batch of peas are now about 6 inches tall and will probably get a big growth spur soon. 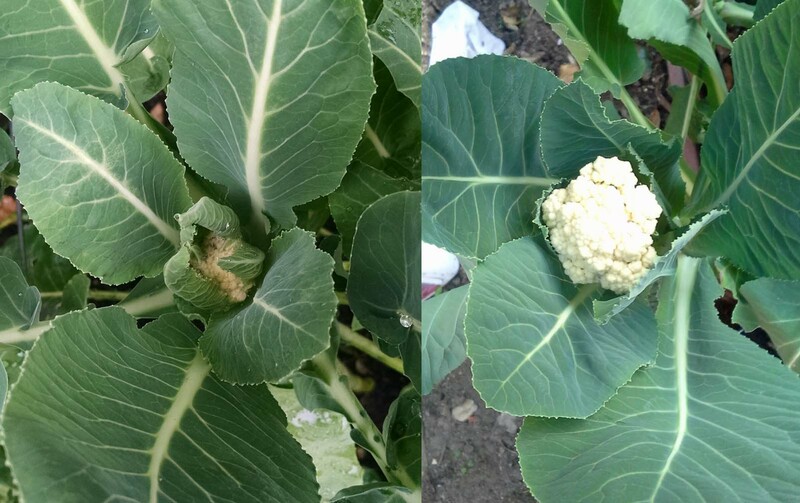 My cauliflower plants (which have gone through a lot) are actually starting to produce flower heads! My garbanzo beans and other seedlings are peeking their heads above the soil. Now that the weather is getting back to the 70’s, I also started a new batch of tomatoes, cucumbers, basil and other random seeds. Most of my beans didn’t survive the frost during the week of new year’s but there are about 1/3 of the batch left. I also planted some red onion seedlings, transplanted some bok choy, spinach and Chinese broccoli and started some french breakfast and black radish seeds. Hopefully it’ll be a nice spring. 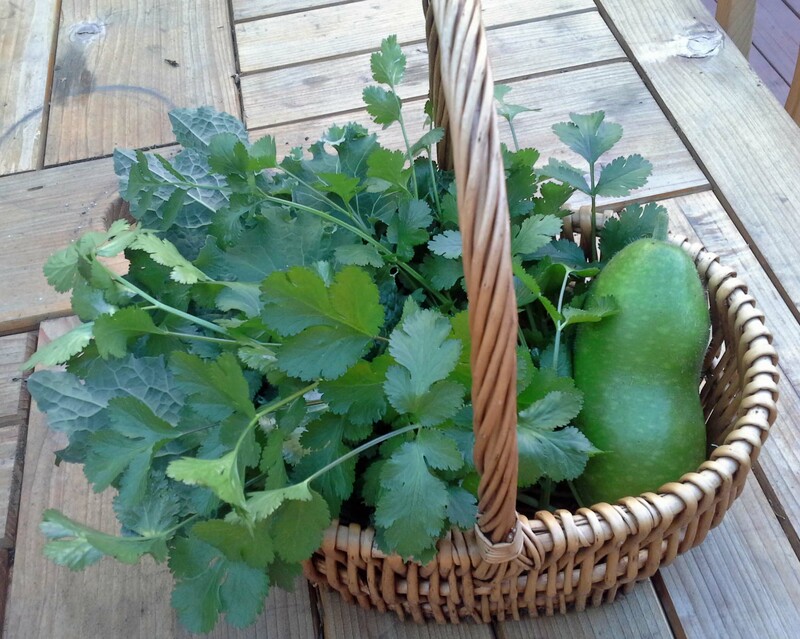 Today’s harvest included lettuce, kale, cilantro and a bottle gourd. 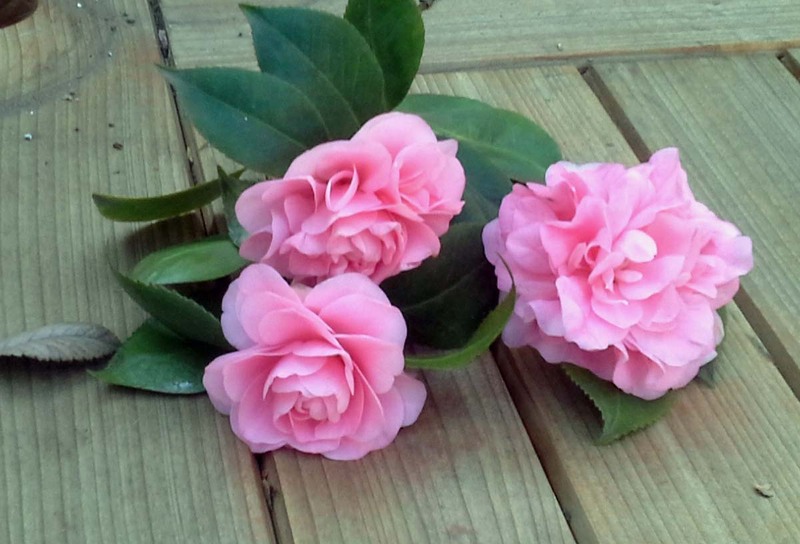 The garden is flowering with camellias, pea flowers, citrus flowers (from Victoria, the pink lemon tree) and narcissus. They smell heavenly.